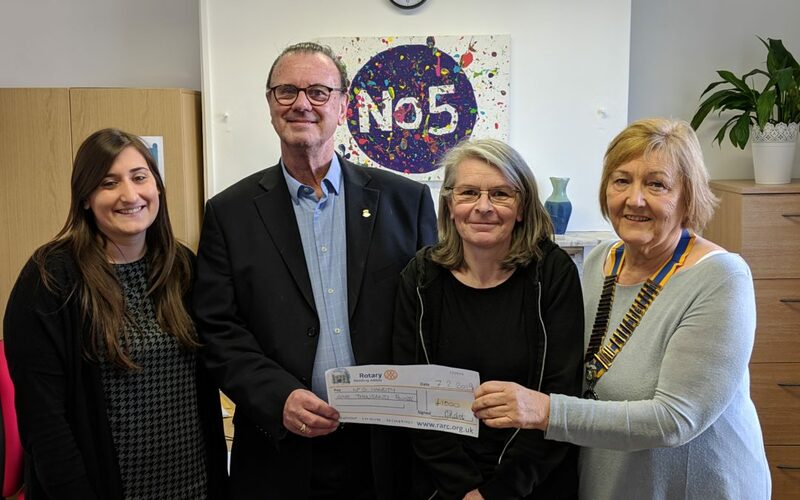 We want to thank the Rotary Club of Reading Abbey who have donated £1,000 to No5, allowing us to deliver 6 mental health workshops in a local secondary school. Alyson and Carly met with Sue Roberts, President, and Paul Webster, Community Service Chairman, from the Club on Thursday 7th February where they presented a cheque and discussed some exciting plans for further fundraising! Watch this space for more details of their fundraising plans! Working with local clubs and groups is really important to us all here at No5, and so we really appreciate all of their hard work and dedication to fundraising for us.